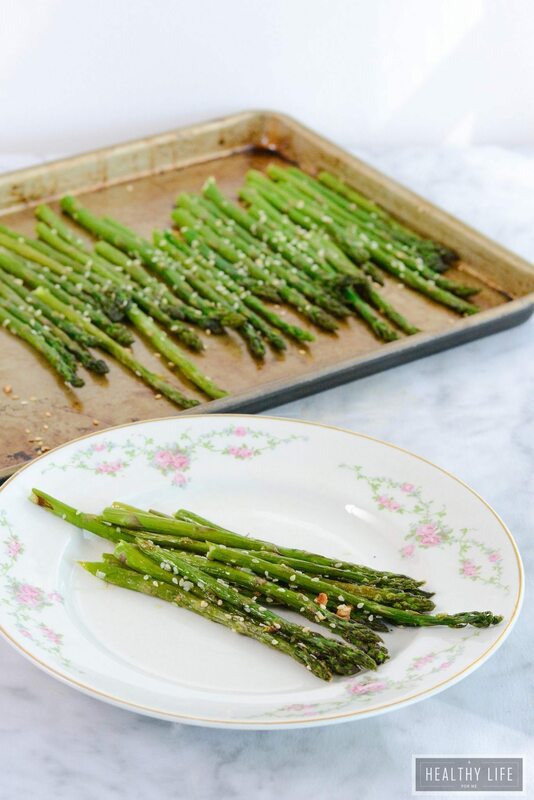 Sesame Roasted Asparagus is a healthy side dish that is ready in under 30 minutes, uses one pan and pairs with any protein. Vegetarian, vegan, gluten free, paleo and whole 30 friendly. Hello gorgeous Tuesday! Spring is official next week, but the lovely lady is visiting here in Cincinnati early and ain’t nobody complaining about that. I have planted beets, radish, lettuce and pea seeds in the garden. While I wait for them to sprout I will also be keeping my eyes on the asparagus bed and anxiously awaiting sprouts to break through the earth. You see asparagus is an perennial veggie which means once you plant it, you will receive a harvest year after year. Asparagus are in season in spring and you will not be disappointed with fresh asparagus. 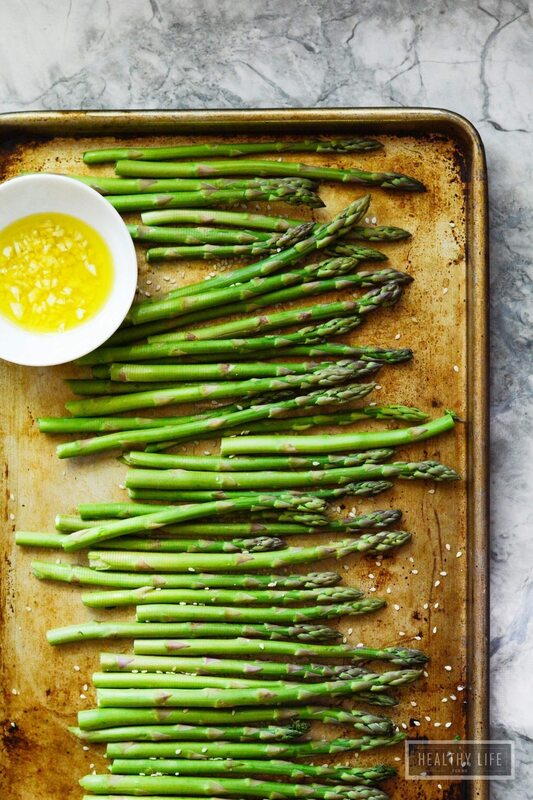 I love roasting asparagus, it really is a great way to enjoy this healthy veggie. Roasting the spears brings out their fresh, clean, nutty flavor. Asparagus is a healthy fiber rich food that is loaded with vitamins, but it is also packed full of essential minerals. The minerals that are stored in asparagus include iron, calcium, phosphorous, magnesium, manganese, zinc, selenium, and potassium. Sesame Roasted Asparagus is a healthy side dish that is ready in under 30 minutes, uses one pan and pairs with any protein. 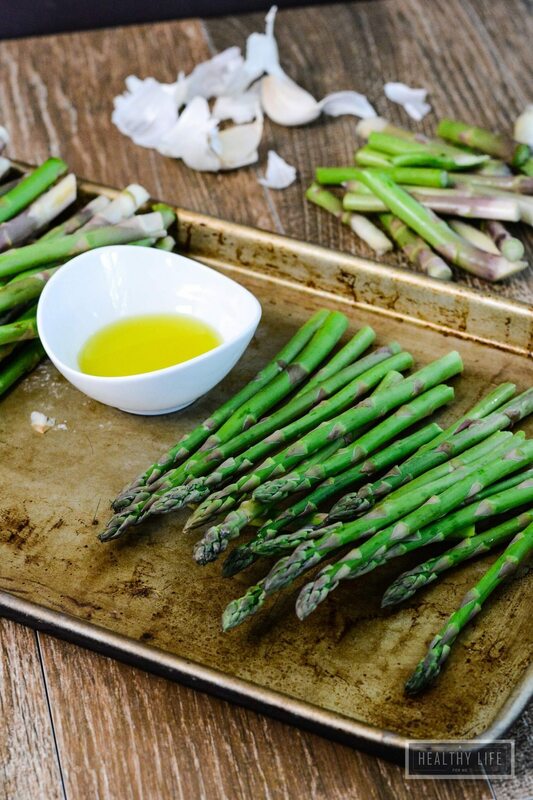 Place asparagus in large bowl and add olive oil and minced garlic; toss to combine. 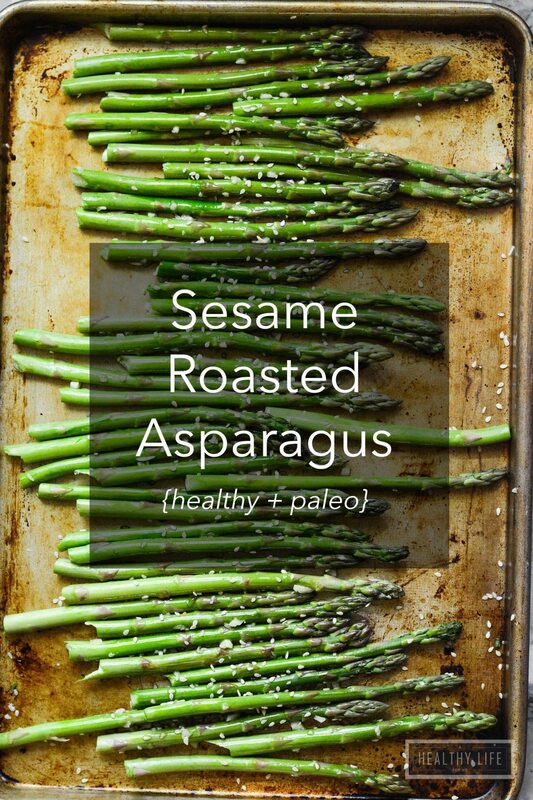 Arrange spears on large baking sheet and generously sprinkle with sesame seeds. Season with salt. Place in oven for 15-20 minutes or until spears reach desired consistency. They should still be a bit crisp. Remove from oven and transfer to serving plate to serve immediately.